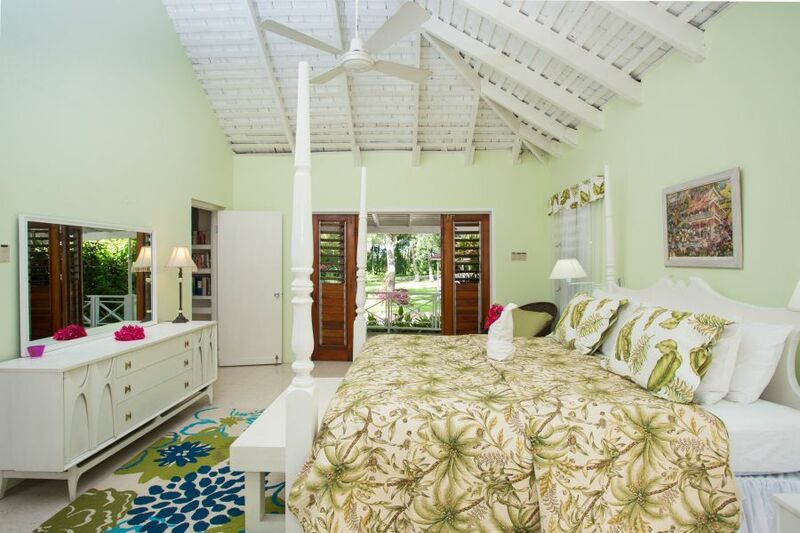 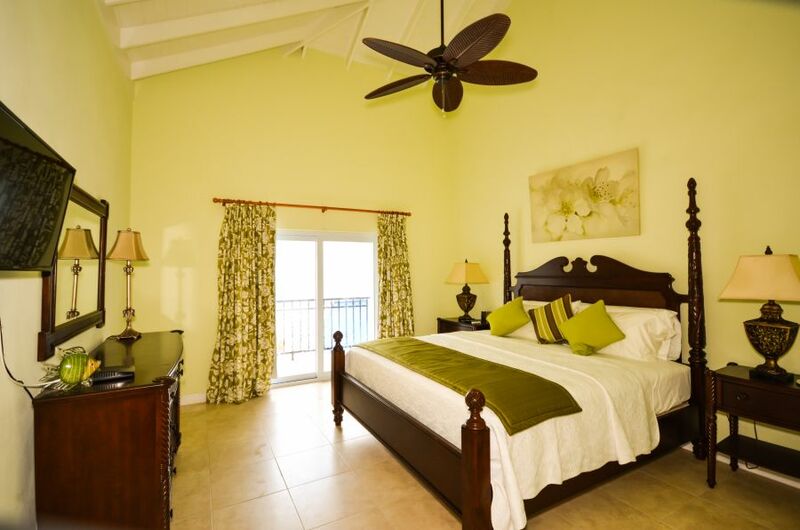 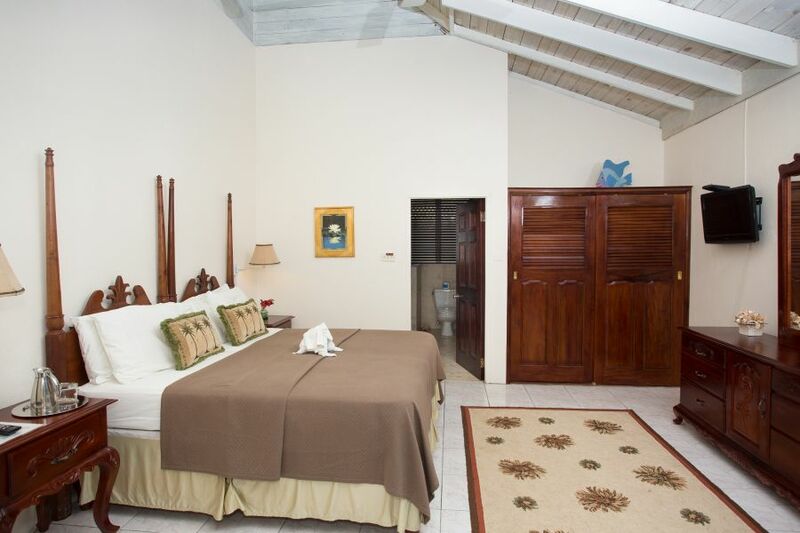 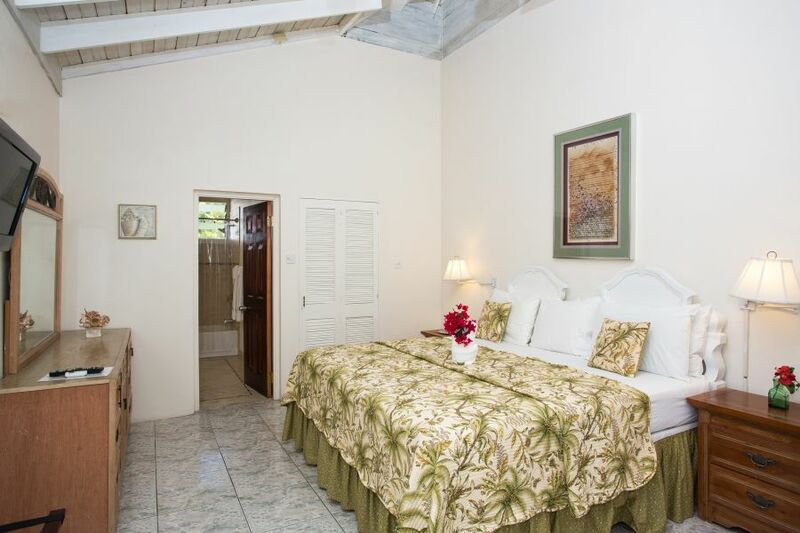 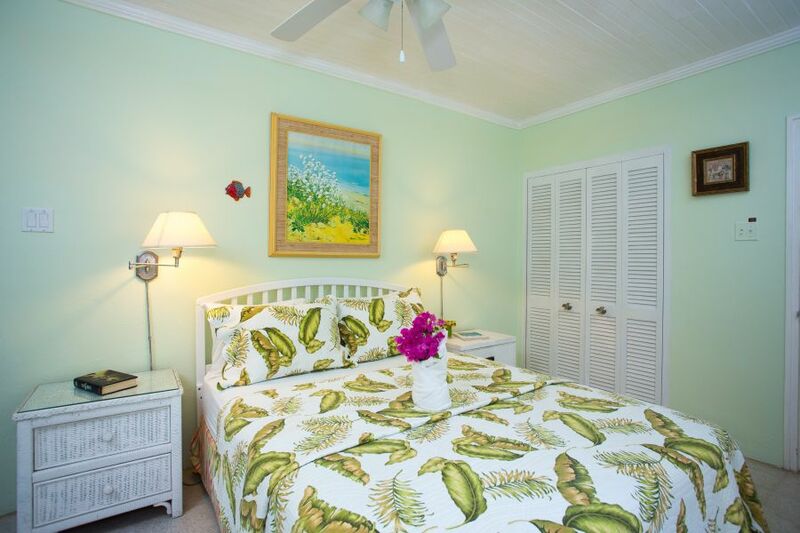 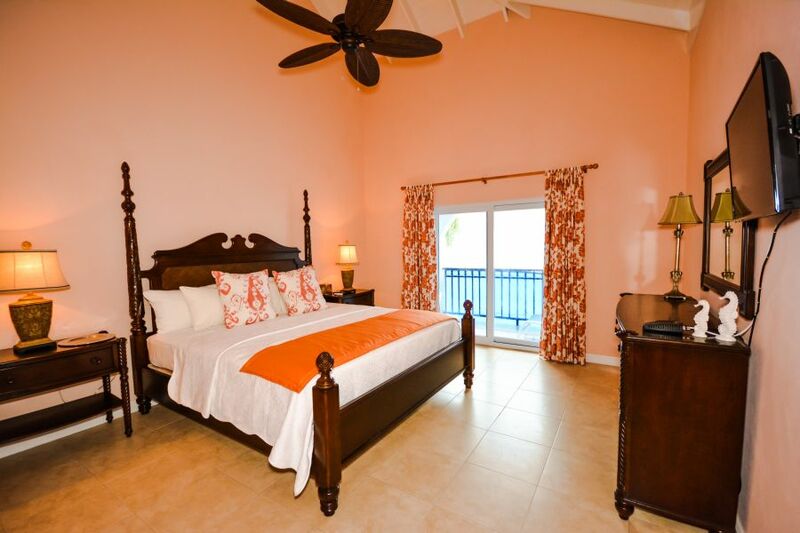 Golden Clouds villa in Jamaica has a total of 11 fully air conditioned bedrooms, each with en-suite bathrooms Guestrooms are located in either the main villa or the garden cottage “Golden Acres”. 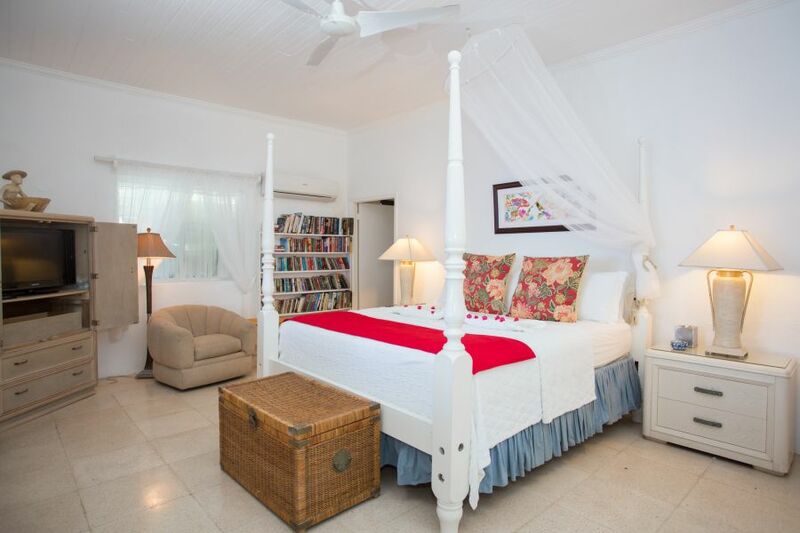 There are nine suites in the main villa and two in the garden cottage. 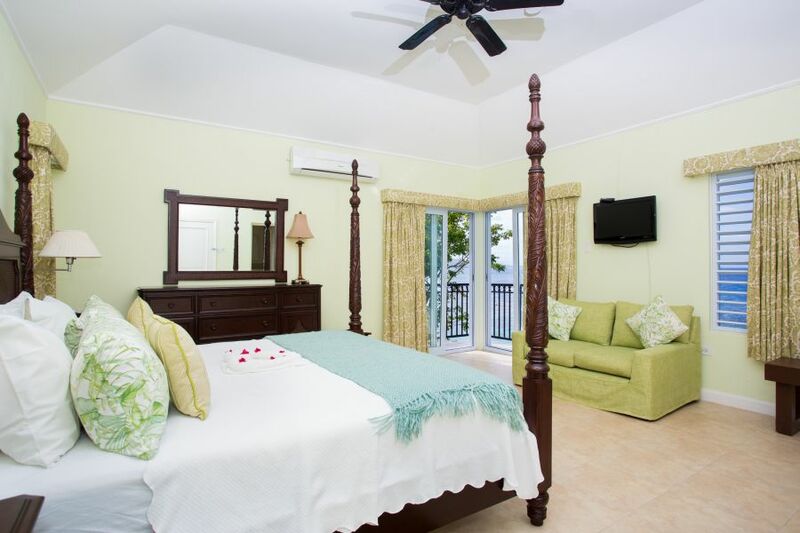 Guestrooms feature a blend of king and two double beds, some of which are connecting, which provides a great option for families with children. 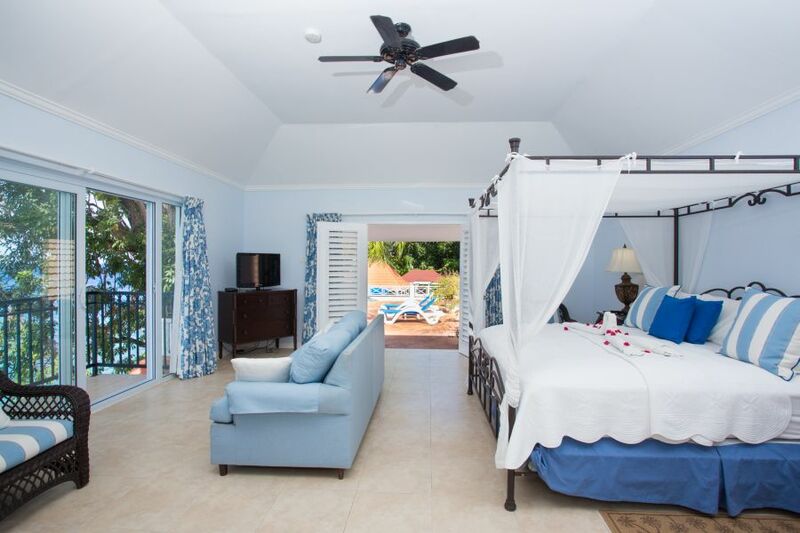 Complementary cribs and roll-away beds are available for small children. 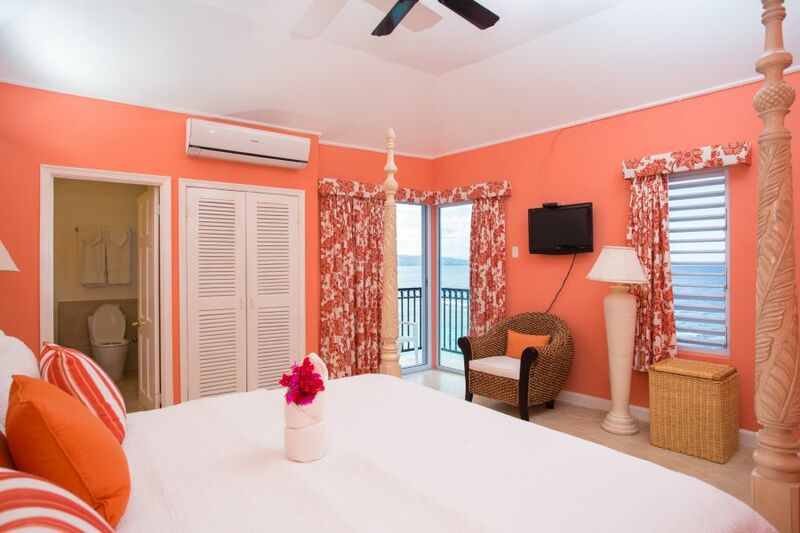 All suites at Golden Clouds have the same level of meticulous service and attention to detail that is found at 5-star hotels. 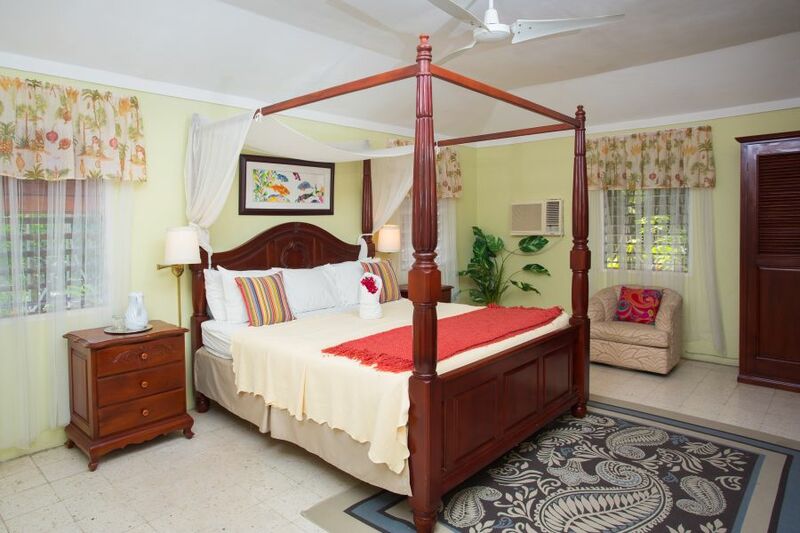 The main difference in the various suites at Golden Clouds is the location on the property itself. 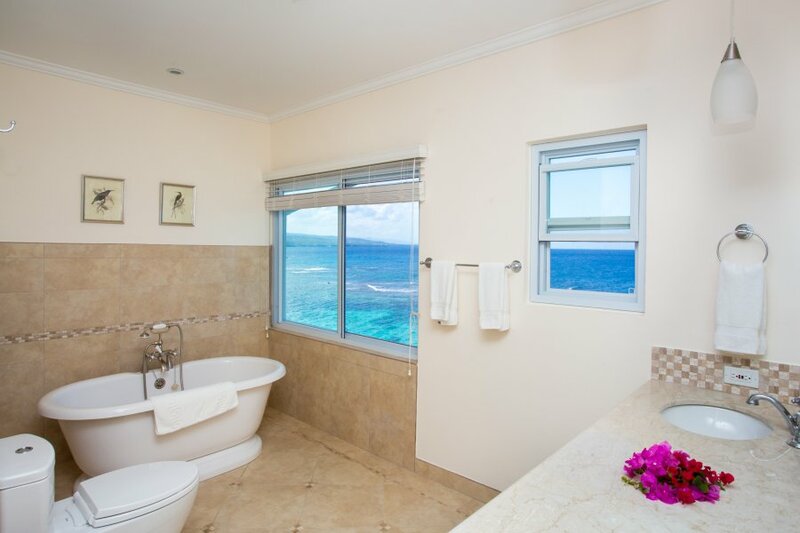 Some guestrooms have private balconies which offer a breath of fresh air as one takes in the majestic ocean views, while others have limited garden or pool views. 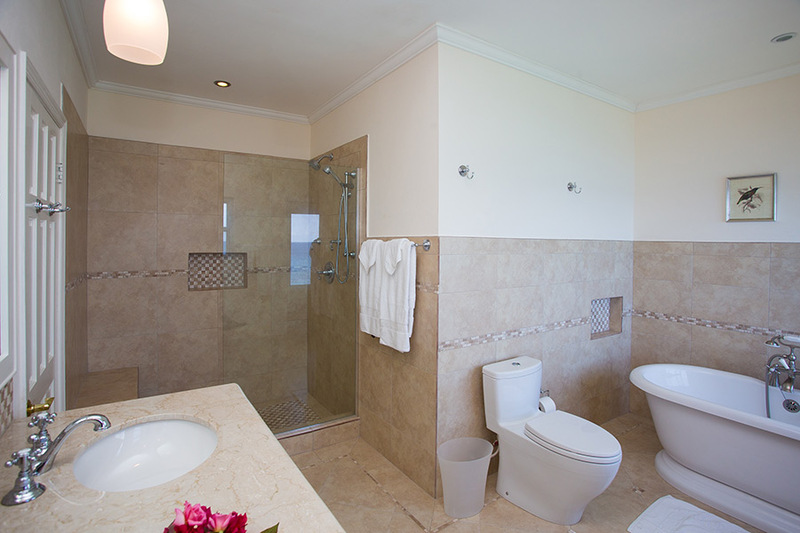 All bathrooms at Golden Clouds are recently renovated. 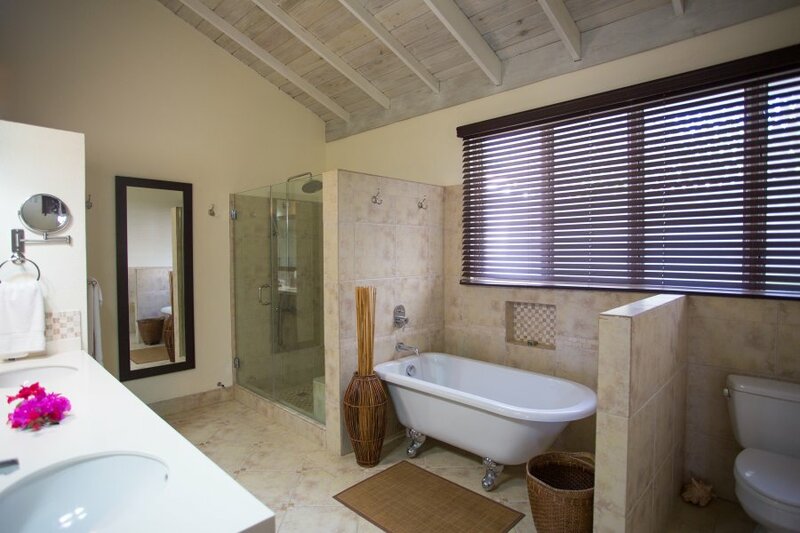 Our bathrooms feature beautiful vanities and quality fixtures, and include full bath and shower. 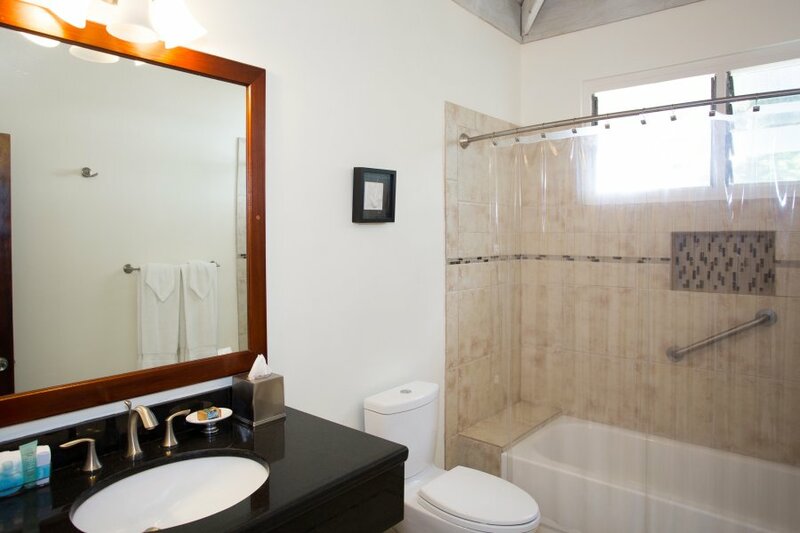 Some examples of our bathrooms are shown below.